The Institute of Aesthetic & Reconstructive Surgery is the forerunners in the field of plastic and reconstructive surgery. This team consists of expert Trichologists and Dermatologists function and render a hoslistic treatment for Hair loss and Hair transplant. The procedure for treatment is very detail oriented and the experts analyze the family history, hair and scalp and also the patient’s lifestyle. Diagnostic tests likeCapilloscopy andTrichogram are performed to gauze the cause of hair problem, weakness of hair roots and the keratin content in the hair.We use the most modern method for hair transplant that is painless and leaves no scars. The procedures are performed in a highly sterilized space and under the keen supervision of expert trichologists and dermats. Aesthetic surgery being one of our specialty area, we have a team that holds special training and skills in Mammoplasty. Breast augmentation, reconstruction or reduction, the team ensures that special attention is given to the aesthetic details and optimal outcome is achieved. 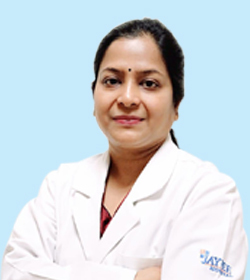 We have patients coming from India and abroad for Mammoplasty.